380 Nitshill Road, Glasgow. G53Tel: 0141. James Lundie opened these premises in 1962. James was a well known south side publican having premises at the corner of Cavendish Street and Pollokshaws Road which were demolished in the Gorbals reconstruction program that saw many old pubs being flattened. 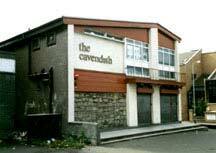 This old pub was called the Cavendish, when Mr Lundie moved to Nitshill Road in 1962 the name carried on living. 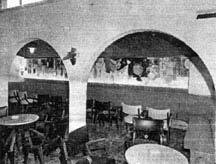 This new enterprise consisted of massive public bars and a lounge much different from his old premises. 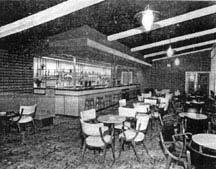 Interior view of the Cavendish 1962. 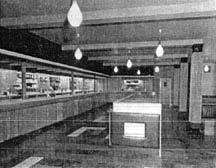 Interior View’s of the Cavendish 1962. Left to right Mr H McCrostie, Whitbread’s; Mr & Mrs J Lundie, The Cavendish; Mr & Mrs William Miller “Broon’s Bar”; Mr H L Jenkins, Whitbread’s; Mrs & Mr A K Hardie, Balmoral Bar; Mr F W Bowles, Whitbread’s. 1990 Philip Rodgers for Bass Inns.